Samsung has met their match when it comes to stealing Apple designs. 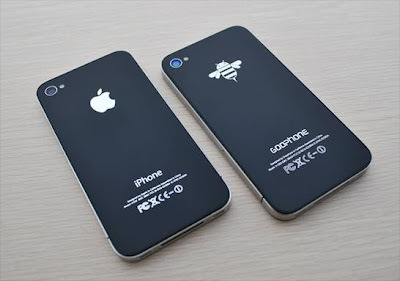 Not only did GooPhone released their new I5 model based on the leaks of the design of the as yet announced iPhone 5. They actually patented the design ahead of Apple and they are threatening to sue Apple if a similar phone is introduced to the Chinese market by them.